Dr. Scott is a native of Oxford, Ohio, and received a BA in Microbiology from Miami University before heading north to do an MS in Medical Microbiology and Immunology at the University of Wisconsin-Madison. She worked for a biotechnology firm in San Diego before heading back to Baltimore, Maryland, to the Johns Hopkins School of Public Health. There she received an MHS in International Health and worked on a vaccine field trial with field sites in Guatemala and Mexico. She stayed at Johns Hopkins for her PhD, where she shifted from laboratory work to a focus on the social and behavioral aspects of public health. For her dissertation research she worked with young women with HIV from four large U.S. cities. Her qualitative study explored aspects of the intersections of HIV with poverty, gender, and social policies in these contexts. After receiving her PhD, she was hired as part of a first cohort of faculty hired to create a new school of public health in rural southern Georgia. She stayed at what became the Jiann-Ping Hsu College of Public Health (JPHCOPH) at Georgia Southern University for six years, during which she served as Program Director for the College’s doctoral programs. She joined the Kinesiology and Health Sciences Department at William and Mary in 2012. 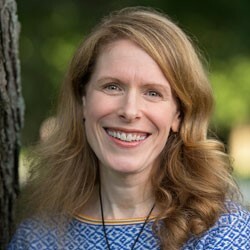 At William and Mary, Dr. Scott continues to develop her research on the social determinants of health and vulnerable populations, using qualitative and community-based approaches. Clottey, E.N., Scott, A.J., Alfonso, M.L. (2015) Grandparent caregiving among rural African Americans in a community in the American South: challenges to health and wellbeing. Rural and Remote Health, 15(3), 3313. Scott, A. J., Wilson, R. (2011). Social Determininants of Health among African Americans in a Rural Community in the Deep South: An Ecological Exploration. Rural and Remote Health, 11(1), 1634. http:rrh.org.au. Scott, A.J., Woodhouse, C.D., Watson, D., Mincey, K., Marshall, N., Mayer, H., et al. (2011). The Southeast Telehealth Network: Using technology to overcome the barriers to rural Public Health practice. Journal of Public Health Management and Practice, 17(2), 164-66. Scott, A.J., Wilson, R.F. (2011). 'Upstream' ecological risks for overweight and obesity amongst African American youth. Preventing Chronic Disease, 8(1). http:www.cdc.gov/pcd/issues/2011/jan/09_0244.htm. McIntosh, W.D., Locker, L., Briley, K., Ryan, R., Scott, A.J. (2011). What do older adults seek in their potential romanric partners? Evidence for online personal ads. The International Journal of Aging and Human Development, 72(1): 67-82. Woodhouse, C.D., Hardy, C.J., Tedders, S., Scott, A.J. (2008). Building a College of Public Health to Promote Health Equity and Meet the Needs of Rural Citizens in the Southwestern US. Victoria, British Columbia: Proceedings of the 2008 Community-University Exposition. Scott, A.J., Ellen, J., Clum, G., Leonard, L. (2007). HIV and housing assistance in four U.S. cities:Variations in local experience. AIDS and Behavior, 11(Supplement 2), 15-22. Scott, A.J., Woods, J. (2000). Monitoring Internalization of Histoplasma capsulatum by Mammalian Cell Lines using a Fluorometric Microplate Assay. Medical Mycology, 38(1), 15-22. Moor, K., Scott, A.J., McIntosh, W. Mindful eating in college students: Is it related to body mass index and physical activity? Submitted September 2011. Scott, A.J., Ejikeme, C.S., Clottey, E.M., Thomas, J.G. Obesity in Sub-Saharan Africa: Development of an Ecological Theoretical Framework. Submitted September 2011. Scott, Alison J, Alfonso, Moya, Contract, "Pineland DUI Evaluation", Pineland Mental Health, $55,000. March 1, 2011 - October 31, 2012. Scott, Alison J, Yoon, Jangho, Hotchkiss, Renee, Grant, "School-Based Teledentistry to Address Oral Health Disparities in Georgia's Rural Children", Healthcare Georgia Foundation, $80,000. July 2010 - July 2011. Scott, Alison J. Acquisition of telehealth communications equipment from Georgia's Southeast Health District, Value, $20,000. April 2011. Scott, Alison J, Contract,"Evaluating the 2009-2010 H1N1 response in Southeast Georgia", State of Geogia, $15,000. May 2010 - July 2010. Scott, Alison J, Contract, "Evaluation of adolescent health service needs in Ware County, Georgia", State of Georgia, $4,000. June 2010 - July 2010. Scott, Alison J, Contract, "HRSA Rural Health Outreach Grant Evaluation: Taekwondo at Wellness Works, Washington County, GA", $17,500. January 2007 - August 2008. Scott, Alison J, Grant, "A Community-Based Inquiry into Health Needs and Disparities Amongs African American and Latino Residents of Evans County, Georgia", Sponsored by Faculty Research Grant, Georgia Southern University, $7,175. July 1, 2007 - June 30, 2008. Scott, Alison J, Grant, "Rural Community Health Assessment: Evans County, Georgia", Bureau of Business Research and Economic Development (BBRED), Georgia Southern University, $3,000. January 2007 - June 2007.